mash the potato and add the all the ingredients and mash well. keep in the fridge for a few hours to harden. 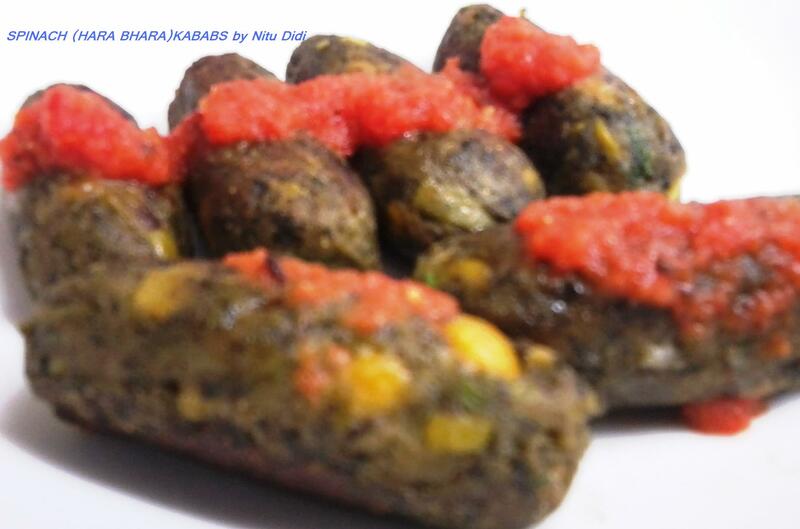 shape into kababs and shallow fry in a little oil and a non stick frying pan. This entry was posted in Everything Vegetarian, Gluten Free, Indian Restaurant Dishes, Veg Starters, Vegan and tagged gluten free, gram flour, spinach, Vegan. Bookmark the permalink.